Find a vacation home to rent in Cadiz from our list of vacation rental properties. Campaya has over 139 vacation homes available in Cadiz, which give you the possibility to locate a unique accommodation in Cadiz which completes your check-list in search for the perfect self catering vacation apartments in Cadiz or vacation villas in Cadiz. This wonderful Andalusian holiday home, with private pool and beautiful lake and mountain views, is located in the idyllic surroundings of El Gastor. A beautiful holiday home with a private pool and space for 8 people. This holiday home extends over two floors. In a breathtakingly beautiful, natural environment we meet this fantastic holiday home in El Gastor. This holiday cottage with beautiful arches on the porch lets you enjoy the spectacular landscape in all its glory. Only 3 km from Olvera you will find this quiet holiday home. In the beautiful garden you can enjoy the sun by the private pool and barbecue. This wonderful holiday home is located in the prestigious urbanization "El Santiscal" in Arcos de la Frontera. This beautiful, rustic holiday home is ideal for those who want to spend their well-deserved holiday away from the hustle and bustle of tourism. This lovely holiday home is well-equipped with all facilities necessary to have a stress-free and comfortable break. This holiday home, with beautiful views of the Sierra del Gastor, promises a very restful holiday. This fantastic holiday home with private pool is located in the prestigious urbanization "El Santiscal" in Arcos de la Frontera. The holiday home “Rancho de los Cuñaos” can be found near the small town of El Gastor in the province of Cádiz. 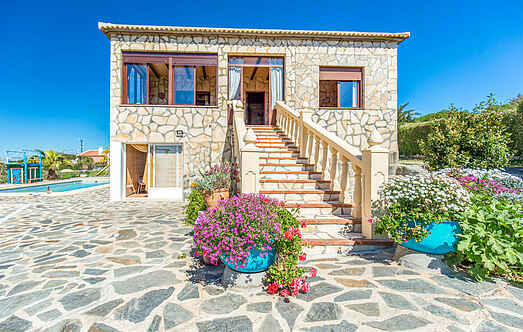 This charming house is located in the centre of El Gastor, with stunning views of the surrounding mountains and fields.